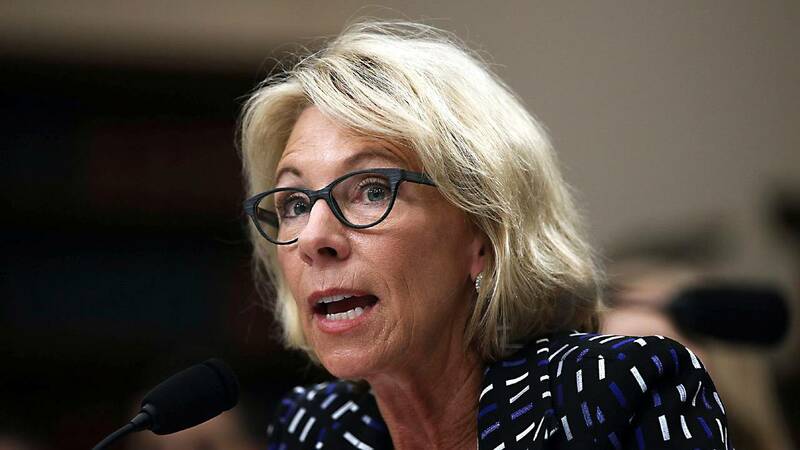 (CNN) - The Department of Education said Thursday that it would wipe away student debt for 15,000 borrowers, implementing an Obama-era rule that Secretary Betsy DeVos has fought to block for more than a year. But the rule also was designed to make it easier for students to apply for relief if they believe their schools misled them, by inflating job placement rates, for example -- even if they weren't enrolled when the schools closed. "This is a good first step, but it's not good enough," said Democratic Sen. Patty Murray, a senior member of the Senate committee on education, in a statement. "I call on Secretary DeVos to abandon her attempts to rewrite the borrower defense rule to let for-profit colleges off the hook and instead fully implement the current rule and provide relief to more than 100,000 borrowers who were cheated out of their education and savings," she said.